Refresh your teaching, supercharge your business and feel supported every step of the way. Receive expert guidance and download the resources you need to plan motivating lessons, incorporate technology, teach more creatively and grow a sustainable, thriving studio. The InnerCircle community is designed to support you while you transform your passion into a flourishing business. Grow in confidence as you create innovative, motivating and fun lessons for all your students using our training resources and lesson templates. Take the stress out of your studio marketing and stop worrying about student numbers by following our step-by-step marketing and business courses. It’s easy to feel isolated as a piano teacher. Join the InnerCircle and instantly be connected with hundreds of other teachers. InnerCircle members share their achievements, teaching and business successes. I’ve been teaching chording to all of my students this term - it’s totally amazing what they’re doing with it. I love teaching, and I have SOOO much to learn, and I LOVE the direction I’m heading. Due to the Inner Circle, I’m becoming the teacher I would have loved to have had!! Makes me excited to get up in the morning. I’m grateful for all you offer - it’s totally changed my professional life. First off, can’t thank you enough for your superb site. You're doing an outstanding job of waking me up and pointing me into new, refreshing ways of bringing contemporary styles into my lessons. The range of resources and your complete zeal for piano teaching are mesmerizing and infectious. The Inner Circle has made such a huge, huge impact on my teaching, my business, and my personal growth. I cannot thank you enough for everything you do and provide. I deeply believe that the music community needs what you provide and are striving for. The Inner Circle has been LIFE-CHANGING for me. It has helped improve my piano teaching and has actually made me enjoy teaching piano just as much as I enjoy teaching voice! I’ve been going through the 4 Chord Composing Course myself and the way you teach chords and progressions is making soooo much sense to me. I am looooving the Inner Circle. It has been 100% worth the investment and both my students and I are benefitting from it tremendously. I have used many ideas from the business and the creative areas, including your No Book Beginners and 4 Chord Composing Courses. All have helped me feel more up to date and helped me feel motivated to keep involved in the industry. Apart from my home students I teach music at a private school too so I feel like I have to please a wide customer base. Giving teachers like me the ability to adapt to different circumstances and student needs is what this community is all about. Joining a community in any industry is incredibly valuable. InnerCircle is that and so much more! Perfect for teachers starting out. Access all courses, downloads and the roadmap and let us shine a path on your development. Best deal! Watch your teaching and business skyrocket and get 2 months free when you join us on a professional plan. For teachers who want to break through to the next level, this package includes 1-on-1 weekly professional coaching and training plans. InnerCircle members share an entrepreneurial approch to both teaching and business. One of the best ways to improve your teaching is by watching other teachers in action. Be a ‘fly on the wall’ with our live teaching videos. Spark a discussion, ask questions, share ideas and feel supported in our vibrant member forums. Join well-known teaching experts from around the world as they answer your questions and provide support. Grab exclusive discounts on training, sheet music, products and services from our trusted partners. Keep in touch with other teachers, access courses and get answers quickly with our members’ app. As a member, you’ll get access to the exclusive Studio Growth Roadmap to guide you through every step of starting, building and growing a vibrant music studio. The aim of this stage is to help you establish your philosophy of teaching, set your studio vision and decide on what format your lessons will take. An understanding of your teaching philosophy and what you’re trying to achieve is critical to your studio’s success. The planning process starts with the end-goal for your students: What are they going to be able to do? It’s easy to be overwhelmed with information and ideas when you’re teaching. We’ll help you focus on what’s important. Set yourself up with a style of teaching that suits you and your business goals. How long will you teach? How much will you charge? We lay it all out for you. We’ve answered all the most frequently asked questions from new teachers in our “studio questions answered” mini course as part of the Roadmap. Let us save you from some of the most common mistakes beginner teachers make, so you can focus on the important stuff: planning your teaching. The aim of this stage is to create a strong brand and business on which to build your thriving studio business. We’ll set up your policies, procedures and processes in order to launch with success and start filling your studio with happy students. Most teachers never receive formal training in accounting or finance. We’ll help you establish a 2-page business plan to formalise your approach. While we might not like them, numbers are vital to the success of any small business. We’ll help you work out the most important metrics to track. We’ll help you work out the right structure for your business and get you over some of those legal obstacles including insurance. Contrary to popular belief, logos shouldn’t be the first priority for a new business! Knowing your brand and how you want to be perceived is far more important. Studio owners young and old struggle to know how to properly word a studio policy (and stick to it). We’ll give you a template and show you the important factors. Don’t waste time with Excel spreadsheets, cashing checks, creating invoices and chasing-up missed payments. There IS a better way! The aim of this stage is to help you plan and integrate new teaching styles into your studio and to ensure that you can confidently teach anything! One of the main reasons that people join the Inner Circle is to get some fresh ideas for creative teaching and step-by-step plans for implementation. That’s what Adapting is all about. Improvising isn’t just about jazz. In this stage of the roadmap, we’ll be sharing lesson plans around helping students compose in pop and rock styles as well as blues and jazz. Chords and harmony form the basis of just about all music, but ideas for teaching this aspect of music are few and far between...except here in the Roadmap where we lay it all out. Keeping students engaged through games isn’t just about having fun. Games are one of the best ways to teach and reinforce knowledge. If you bought an iPad but find you’re not really using it, you’re not alone. Let us show you how to integrate technology into your teaching and make it a habit your students will love. Every teacher will experience the struggles and joys that come with teaching a special needs student at some point. Here is the ultimate guide to coping with a variety of special needs. The aim of this stage is to set up your teaching processes including curriculum overview, lesson planning and student motivation and practice goals. We’ll also consider approaches for reporting progress and assessing students. What to do (and what not to do) to get the most out of interviews and trial lessons with new students. Organising your approach to lesson planning is vital to having a calm and structured approach to your teaching and reporting. We summarise the main beginner methods to show you what works best for students of all ages. What’s the best music for your students as they progress? How do you keep the teens happy? What about “pupil savers” when students need extra motivation? If you think recitals are just about a grand piano on a stage and students taking turns playing, then we’ve got some great new ideas for you. Keeping in touch with parents about their child’s progress, while setting boundaries and expectations, is a fine line. Let us help you with your approach. The aim of this stage is for you to understand the possibilities for taking what you’ve built in your own studio and growing it even further through expansion that suits your lifestyle and goals. If you want to grow your studio numbers, you’ll probably need to actively market and advertise your studio. But what’s the best way? We’ll show you how to get started. The forgotten metric of studio businesses. If you’re regularly losing students, then there’s a problem in your studio. Let’s fix that leaky bucket! Converting to a group teaching studio is one of the best ways to leverage your time and create more income. But it’s not for everyone. Will it work for you? Summer camp programs, masterclasses, recitals and special events not only help to supplement your income, but they are also important community-building activities. What do you do when you’ve got a waiting list or want to cut down your teaching hours? You could charge more or you can hire another teacher. Is it as hard as it sounds? If you’re ready to take your studio to another level, this is the stage for you. We help with leasing property, hiring admin staff, marketing and growing student and teacher numbers beyond your dreams. The aim of this stage is to help you pivot into the next phase of your career by leveraging the power of technology to launch a brand new offering to the market. The big brainstorm: What’s next? So you’ve got a studio that’s thriving and a great team in place. Now you’re itching for the next move… let’s brainstorm what’s possible. How to build an audience and grow a following. How to start and grow a blog. How to get traction and get your ideas found by other people. Launching a new business or product is a HUGE process. Let us help you break it down by looking at case studies and hearing from people who’ve been there and done it already. Before you go full-on into your new business, it’s important to test your offering first. You do that by creating a “minimum viable product”. We’ll show you how. Getting in front of as many potential customers as possible is vital in the early days of a new business and will dictate how fast you can scale. A few tricks should get you rolling. The day has come: it’s time to launch your new product. 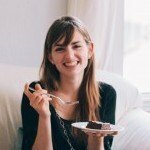 How are you going to build interest and get people excited? Let’s help you make that launch the best thing you’ve ever done. We’ve invited world class experts in music education, business and piano instruction into your community. 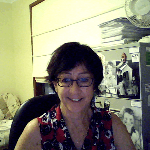 Nicola Cantan is a piano teacher, author, blogger and creator of imaginative and engaging teaching resources. Nicola's Vibrant Music Teaching Library is helping teachers all over the world to include more games and off-bench activities in their lessons, so that their students giggle their way through music theory and make faster progress. 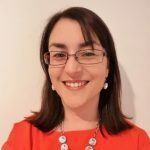 Nicola also runs a popular blog, Colourful Keys, where she shares creative ideas and teaching strategies, and hosts regular training events for piano teachers. 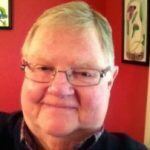 Paul Myatt is co-writer of Theory Fundamentals by easiLEARNmusic published by Hal Leonard. He is also a founding director, course writer and director of teacher education at Forte School of Music a successful network of music schools (started in 1994), with over 5,500 students. Author, entrepreneur and group teaching specialist, Paul is passionate about helping educators enhance their teaching so that students keep learning music and become life long learners. Leila Viss is an internationally-renowned blogger, author, speaker and teacher, well-known for her creative and tech-focussed teaching. 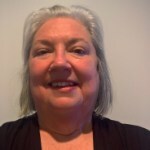 She's the author of the iPad Piano Studio and runs regular teacher training webinars with another IC Expert, Bradley Sowash. Carol Matz has composed, authored, and arranged over 300 published titles for piano students. An experienced piano teacher herself, she has presented numerous piano-teaching workshops throughout the United States, Canada, England, New Zealand, and Australia. She is well known for her Famous & Fun series (published by Alfred Music) and now focusses her time developing and promoting her own creative Interactive Piano Method. Bradley Sowash has been a driving force behind creativity in piano teaching for many years, having introduced the world to the eye-ear revolution. "I want others to experience all the fun I have improvising at the piano. That is why I enjoy helping fellow pianists rediscover their latent creativity." Bradley constantly teaches piano improvisation through his his books, blogs, workshops, webinars, and online group pop/jazz piano lessons through his site bradleysowash.com. Lyndel Kennedy has spent over 30 years teaching students to discover, own and love their unique, musical personality. Through her program, Play a Story, she empowers students of all ages and proficiencies to enjoy creating their own music while laying key theoretical foundations to build on for a musical lifetime. She conducts workshops all over the world, inspiring and nurturing teachers to help students explore their Inner Musician from the very first lesson. Glory is the founder, CEO and author of the Ultimate Music Theory Series. She brings over 35 years of remarkably successful teaching experience to the development of the UMT Series and her role as an IC Expert. 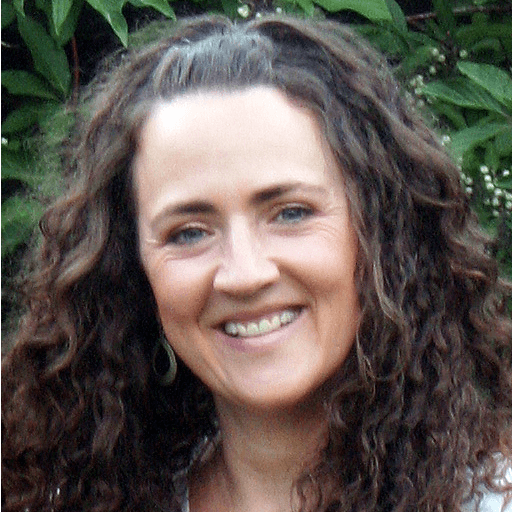 She is a Registered Music Teacher, sought-after clinician and a Neuro-Linguistic Practitioner (NLP) and can't wait to help members with their teaching and theory questions. Group Piano Specialist and Entrepreneur, Debra Perez is passionate about creating collaborative learning experiences for students of all ages. Her belief in the power of group learning lead her to co-create three group piano programs; Musical Moments for Adults, Way Cool Keyboarding for Teens and Way Cool Keyboarding 4Kids. She owns and operates two music schools and enjoys helping teachers, schools and music stores create successful group programs. Joyce Ong is a creative business chick, six time author, educator, serial entrepreneur, international photographer and videographer… with the unique ability to think from both a creative and business perspective. She built a music school from the ground up, sold it, and has now founded New Heights Media, her video production company. Joyce is passionate about helping creatives get better at business, and loves travelling the world photographing musicians and wildlife. 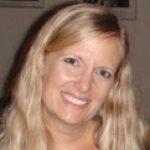 Jennifer Foxx is passionate about inspiring and motivating students to succeed in music through play and creativity. 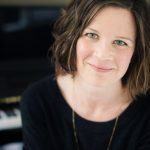 A piano teacher, blogger (Music Educator Resources), presenter and music educational resource & curriculum developer, Jennifer Foxx loves to share music resources, teach and connect with music educators from all around the world. Sara is a piano and voice entrepreneur who loves to educate (and entertain!) fellow teachers by sharing creative teaching ideas and business practices. 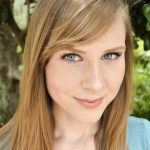 She’s an active blogger at SarasMusicStudio.com, FB Live Personality and co-host at Upbeat Piano Teachers, and Resident Piano Pro at Musical U. Outside of the piano world, Sara also works a group of independent voice teachers at The Speakeasy Cooperative. 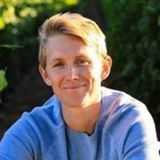 Her passions include yoga, cats, wine, and working as a business coach for fabulous teachers all around the world. Forrest Kinney is pianist, educator, and the author of the Pattern Play series on improvisation. He also wrote the new Create First series on improvisation and the Chord Play series on the art of arranging. He travels around the world helping others make music education more enjoyable and creative. Are you ready to update your skills and build an exciting, sustainable, innovative studio? Everything you need to build and grow a thriving music studio! Your InnerCircle membership gives you access to our growing library of over 15 comprehensive step-by-step video training courses. Here’s a sample of some of our most popular topics! Let me show you the creative potential of your teaching when you set method books aside and explore improvising, creativity, aural and listening skills for up to 10 weeks with a new student. In this course, we show you how to teach chords and lead sheets, how to simplify music that's too hard, how to teach tricky rhythms and discuss the impact of YouTube. Watch as I take you step-by-step through my chord-based composing approach that kids of all ages will LOVE. I teach a student live in class so you can see exactly how it works. Having an effective website is VITAL for your studio marketing. We take the fear and uncertainty out of building your online presence in this comprehensive video course. Group Piano Teaching is becoming increasingly popular around the world. This course takes you through the process of converting to group teaching or adding a group element to your current studio. Ready to grow? Find everything you need to build your own music school/academy. From hiring teachers, to systems and productivity, finding the right space and updating your policies. The InnerCircle has been of immeasurable value to me in my teaching. I have learnt SO much and  found so many topics to motivate me. After teaching in isolation for 25 years it is wonderful to connect with other teachers & to share common concerns. “I doubled my student numbers! The Inner Circle is fantastic. I used the Online Studio Launchpad Course to create my own website a couple of months ago and doubled my student numbers. Thanks so much for all your great courses - they are having a HUGE impact in my studio. “After 30 years, I’m still evolving. I cannot tell you how much this site means to me. I am learning so much, and I’m evolving as a teacher. I have always been creative, but I didn’t have the basic knowledge of chords and the circle of 5ths and improv; I was strictly classically trained from a teacher who felt that chords belonged in bars! I have tried through the years to educate myself through different sites on my questions about chords, playing by ear, and I just didn’t find anything good. I am so so grateful that I found you!! So are my students! It’s exciting to grow and learn...I’ve been teaching piano for 30 years...I think I’m finally getting the hang of it! I am beyond grateful for the success that I have had in the past week. Going into the winter break and Christmas, I was pretty worried about my finances and managing my students. In the span of a week, I’ve gone from 12 to 18 students. I was on the brink of giving up and looking into other professions but now I can’t think of anything else I’d rather be doing. Thanks to all the support and guidance from the Inner Circle, my business is now off and running. I'm already feeling great about my decision to join the IC. When I post in the forums, it feels like I cut through the noise that can occur on Facebook groups and get really solid feedback. I've already got some helpful thoughts from other teachers that I'm mulling over. Let us guide and mentor you to achieve more than you dreamed possible. Is the InnerCircle right for you? The InnerCircle isn't for everyone so we want to make it really clear who’s going to be the best fit. Click on the question to find the answer to some of the most asked questions about the InnerCircle. Is the InnerCircle the place for me? If you're one of my blog readers, video watchers or podcast listeners, then you're probably a perfect fit for the InnerCircle. However, just in case, scroll back to the section above called "Is the InnerCircle right for you?" to check. I can’t afford this. I’ve only got a small studio! It’s important to view your InnerCircle membership as a business investment, rather than a personal expense. If you’d like to grow your student numbers and create a sustainable business, then investing in InnerCircle will help you achieve that goal much faster than working on your own. For example, let's say you teach 30 students. If you charge an admin fee of just $15 per student for the year, you've easily covered the cost of your membership. This is how many members invest in their business without it coming out of their own ‘back pocket’. Try and consider your subscription as part of a bigger picture growth strategy for you and your studio. Oh and remember, it's likely to be a tax deductible business expense (depending on your jurisdiction). Do you charge extra when you release new courses? While other memberships may charge more for access to new courses (and even old content! ), your investment unlocks everything past, present and future. When you sign up, not only are you locked-in at your sign-up rate for as long as you remain a member, you also get access to all future webinars, online training courses, downloads and lesson plans as part of your membership. With a comprehensive new online training course being released on average each month, the value of your membership will only increase over time. How is this community different to the Facebook groups I follow? I find there are three big problems with Facebook groups: it’s too easy to get distracted, there’s too much complaining and it’s really difficult to search. The InnerCircle's exclusive forums are designed around your needs and development. Without the noise of Facebook and its cat videos and whingers, you can get straight to work, asking the questions you need and getting responses from around the world. You can easily search anything on the site (including all discussions) using a dedicated search bar at the top of every page. Only members and our invited IC Expert Teachers are allowed to use the forums, so you get the best possible answers from the most experienced teachers, without all the distractions and complications. And you can access it all from your very own dedicated app. Is all the content available straight away? What if I'm already a great teacher with a full studio? Is there any point? By sharing your own ideas and helping other teachers, you'll develop and grow as a teacher. Regardless of how experienced we are, there are always new things to learn and try and being inside the InnerCircle is the BEST way to keep on top of new developments in our industry. One of the best ways I’ve found of continuing my own professional development is by coaching other teachers as it really helps to unpack my own understanding of topics. Lots of our members have big studios, contracted teachers and even multiple locations and they choose to continue their membership to pass on their knowledge to other teachers. I've grown into the teacher I am today by sharing everything that I know; join us in the InnerCircle and you can do the same. Access to our private members’ forums where you can ask any questions you want. It's completely searchable and quick to access. Full access to all current and future online training courses including No Book Beginners, PianoFlix: Teaching Pop Piano, 12 Bar Blues, Studio Marketing and 4 Chord Composing. All our teaching videos, worksheets, lesson plans, etc. Access to webinars and training replays, members' only updates and blog posts, QnA sessions and other regular content updates. Full support from me and all other members via the forums and with our support team via dedicated member chat. Discount codes, course and resource recommendations and bonuses from other teachers and providers from around the world. “Growth Journals”, challenges, coaching, member rewards and much more. Will you be adding new content or is it all there already? New content is added regularly as I continue to develop new courses, lesson plans and downloads. In addition, all the items uploaded by members and our InnerCircle Experts are freely available to use in your own teaching. That's why the forums are such a great place for sharing ideas. How do I get value for money? We’ll email you a weekly update of new releases, features, upgrades, top discussions and courses so you can get an overview of what’s been happening, even if you’ve been busy. We also do a monthly member update sharing some of the bigger feature releases and upcoming dates for your calendar. We’ll email you a weekly update of new releases, features, upgrades and courses so you can get an overview of what’s been happening. We also do a monthly update of what’s happened and what’s coming up. Members see the best returns by committing a small amount of time each week to pop into the forums, share their thoughts, ask questions and generally get involved. And remember that if you charge around $US40-60 per lesson, then the cost of Inner Circle Membership is less than the income from just one of your lessons each month. Can you afford not to be involved? The Inner Circle is 100% online. There is no mailed information, however from time to time I do like to surprise my members, so you never know! If you decide that membership isn't right for you, you have 30 days in which to cancel according to my 100% money-back guarantee. If you do decide to cancel, while I'll be very sad to see you go, you'll be able to do this yourself with a few mouse clicks through your "My Account" page. Sorry, required fields are missing. Please be patient - this may take a few seconds! Sorry, we could not deliver your message. Please write us at support@timtopham.com - We will get back to you as soon as possible.